B Town Automotive Repair – Repair for Cars, Trucks and SUVs | Committed to Earning Your Trust! The foundation of our company is built on integrity. Our technicians and service managers are honest and ethical people, who are committed to earning your trust. 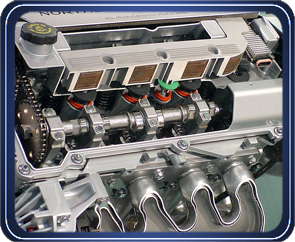 We offer a variety of automotive services, including computer engine analysis, tune-ups, brake service, major engine work, shocks & suspension, electrical system repair, transmission service, cooling system maintenance, manufacturer recommended maintenance, drivetrain repair, oil changes, fluid flushes, fleet services, exhaust system repair and more. Our highly trained and ASE-Certified technicians will use our state of the art equipment to quickly and accurately pinpoint your vehicle repair needs. Our goal is produce loyal customers, who trust us for an accurate diagnosis, professional repairs and smart customer service. YOU CAN COUNT ON B-TOWN AUTOMOTIVE. We are located at 912 2nd Street, Berthoud, Colorado 80513. Feel free to call us 970-532-2009.